No matter if you work as a HR specialist at a small company or at a HR department of a huge international enterprise you will sooner or later face the problem of ineffectiveness of paperwork. There are simply too many tasks and too many files that have to be maintained and kept track of. It is usually the realization that you cannot count on someone else’s help that drives HR professionals to seek for a time saving solution. Anyone would like an assistant, which would keep all the things organized and available at your request. However, not every company has the budget to provide a personal assistant for many positions due to the fact that it will add a new employee’s salary to their payroll. However, there is a solution to this issue. A workflow tracker will help your office gain maximum efficiency, without the need to find a new employee and without the cost of hiring someone. 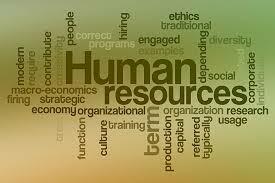 Here are some examples of what human resource management software can do for you. Firstly, this tracking software will take the entire job related to maintenance of massive records on every one of your employees. It will not only store all the required information and allow easy and comprehensive search but it will also work as workflow management software that will allow you to keep track of the HR related pending tasks. Secondly, the tasks that you give to the tracker may also be organized in a form of a workflow chart. The software will automatically generate tasks for each step of the workflow process. Visualization of the created tasks is the feature that makes workflow trackers so easy and user friendly. Thirdly, the a software tracker will also check for you when your employees were last evaluated. A broad spectrum of functions will allow you to effectively do the given human resource task without having the need to do a massive amount of paperwork. The spectrum of work that can be tracked by the software ranges from hiring new personnel to tracking absences and contract termination. The advantages of the era of technological advancement are quite evident: software developers try to make our lives easier and our jobs more enjoyable every day. It is only up to a user to change his or her life for the better and try one of the most suitable workflow trackers. Do not hesitate, download a free trial version of the software you like most and join millions of users who save time and make their work easier every day! Hi, my name’s Jannet Sparts and I’m working as an editor of Online Issues. I have worked as a project manager in several companies. So I have tried different PM tools, collaboration programs, including HR systems and workflow management software solutions.